William W Lewis is PhD candidate in Theatre and Performance studies at the University of Colorado Boulder. His research focuses on the impact of media and communication technologies on 21st century spectatorship. He studies performance companies using experimental, postdramatic and devised forms of storytelling that implement digital tools, site specificity, gaming, and locative media. He is also a practicing director and designer having developed performances in New York, Los Angeles and regionally. 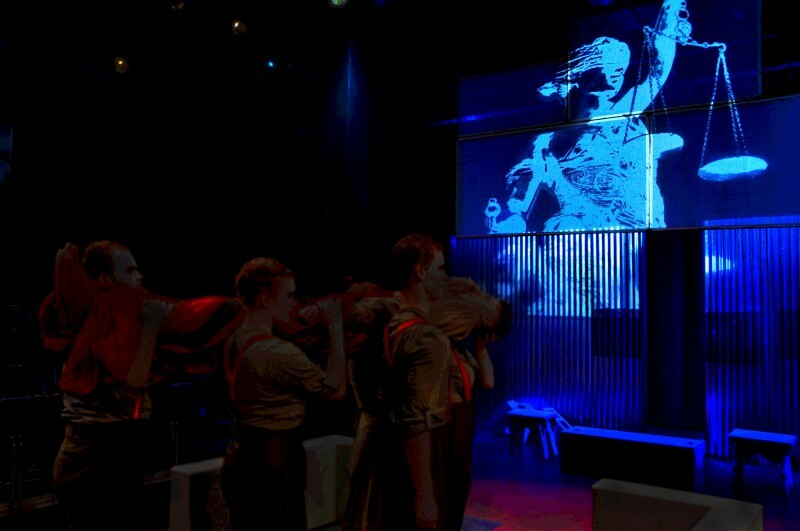 In 2015 he wrote and directed an interactive adaptation of Buchner’s Woyzeck using transmedia storytelling and immersive staging. This performance-as-research project was chosen as a Kennedy Center American College Theatre Festival regional finalist. His most recent project Quantified Self, was a collaboration between PhD researchers in computer science and engineering that explored the impact of social media profiling and was funded by a John S. and James L. Knight Foundation Media Innovation Grant. He holds a MA in Theatre History and Criticism from Hunter College, a BFA in Performance from the University of Memphis and is the founding managing editor of the e-journal PARtake: The Journal of Performance as Research. During his residency, Will intends to conduct further research on three projects: Operation Black Antler, Karen and A Machine to See With. The primary purpose of this research is to better understand the implication of technological interference and augmentation on subjectivity in performance paradigms. The research on Karen is aimed towards producing written material about role play and identity formation in an era of big data and pervasive social media influence. He will also write about Operation Black Antler as a case study for a book chapter that discusses protocols for designing interactive theatre/performance intended for college theatre students.